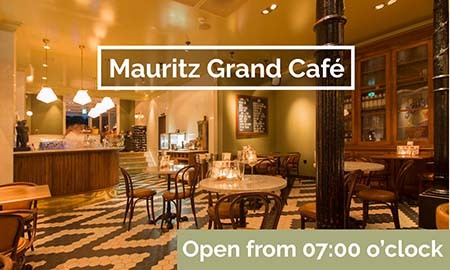 Taste the atmosphere of Mauritz Grand Café, Restaurant, Parlour & Hotel. Staying with us will bring you closer to France than you might think. Because at Mauritz in Willemstad it’s as if you’re right in the middle of Paris. Every day of the week, the doors of our Grand Café are open from 7am for a fresh breakfast. You can walk in all day for a cup of coffee with a pastry, or a good glass of wine. And for a nice lunch or a great dinner in the evening, the Grand Café is the place to be. The dishes we serve taste pure and are prepared with fresh ingredients. In the kitchen we use daily fresh products from the local area as much as possible. Would you rather enjoy a quiet, culinary dinner with special wines? Come to our stylish restaurant. Our friendly staff will be happy to serve you. Eating out in Willemstad? 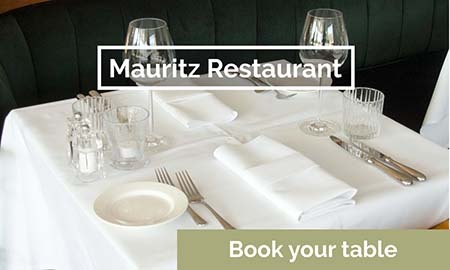 You are very welcome at Mauritz! View our menu here. In the parlour at Mauritz every event becomes an unforgettable memory. Experience your wedding, high tea, reception, anniversary, drinks or business event in a great atmosphere and in style. Inside, in the parlour. Or outside in our garden, when the weather is good. Do you want to end the day in style? 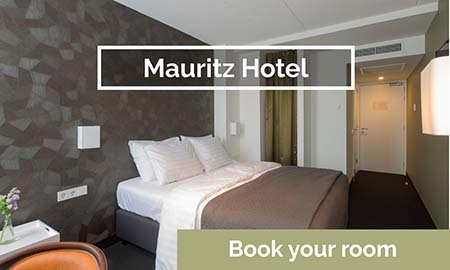 Wake up in one of the luxurious hotel rooms at the Mauritz hotel. Each room has a comfortable box spring bed and a private bathroom. Sleeping at Mauritz is sleeping without worries. Our doors are open 7 days a week from 7am. 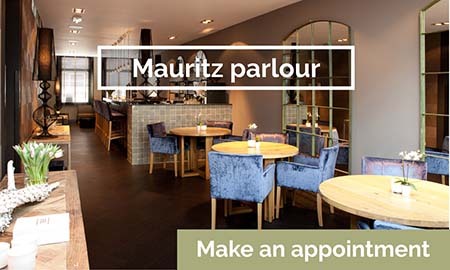 You are very welcome at Mauritz!